Counter-ganking is one of the finest content generation types in Highsec. When I say "Counter-ganking", I am not talking about that boring mass of AFK carebears who send real life death threats to gankers. 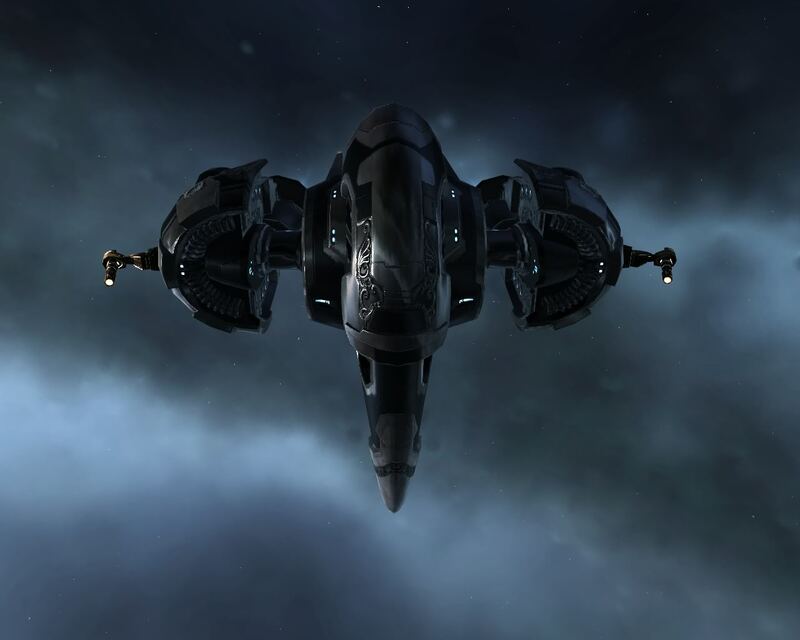 No, I am talking about the less numerous group of people, the Real Anti-Gankers who understand EVE: people who use ingame methods against gankers and inspire me to share all these short stories that I am publishing since I started this blog. Since the beginning, I have received both tears and kudos messages from ganker comments, which is a good sign. "AG's goal is not to create content...it's to take it away"
"It's plain to see in the AG channel, blogs, forum posts, etc. Anti-gankers overwhelmingly express mostly the +opposite+ of evidence of having fun and enjoyment. Anti-gankers are just plain FAIL at everything." Ganker, calm down. Revis Owen believed that counter-ganking is all about failing, taking content away and opposing to having fun. Well, this blog alone proves that he's wrong, and it's about to prove again with today's stories. So let's leave these individuals alone and actually play the game. Killmails and in-game actions are a lot more enjoyable. Today I want to share some of my beautiful counter-ganking memories from 2013. No matter how old it is, I believe it is a very nice and simple example of action that can be taken against gankers. I want to see more miners step up (or "HTFU" like Feyd would say) and use the in-game mechanics to fight gankers. It is stupid to complain and demand more nerfs in the forums. Piekura has always been a special place for me. 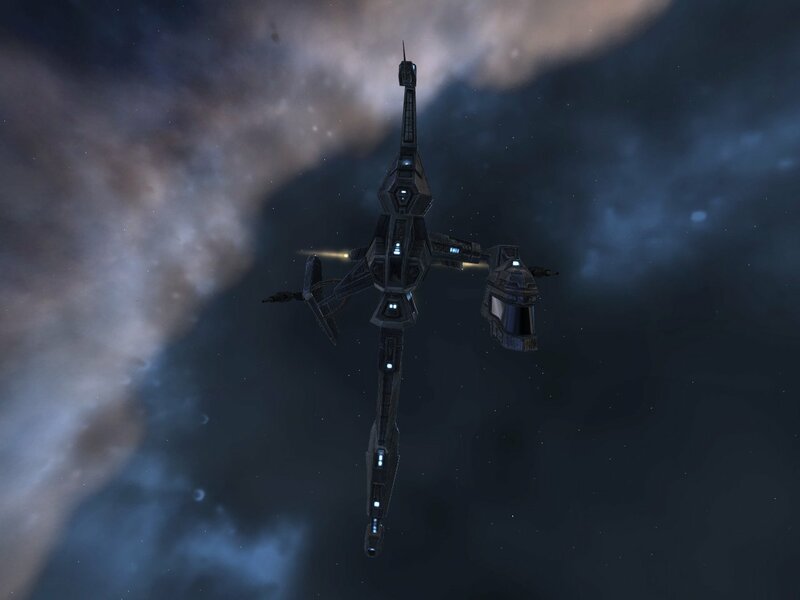 I had so many lovely memories in that system: Mining, Anti-Ganking, taking screenshots, creating bookmarks everywhere, listening to Miner Stories, collecting ganker tears… and once RL allows me to be more active in EVE, I will definitely visit that beautiful place. 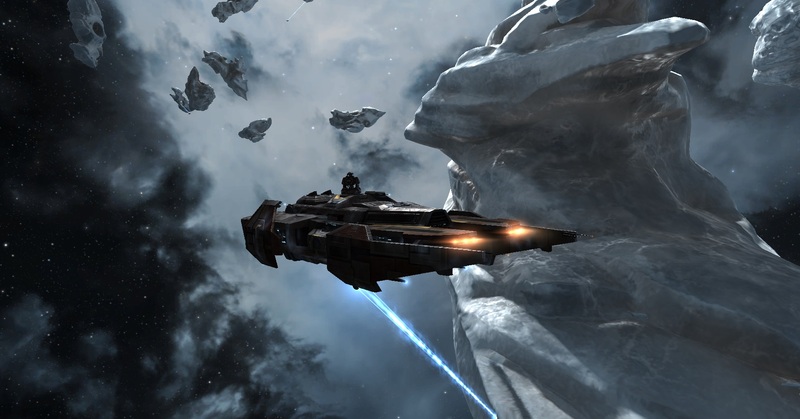 I was ice-mining with my ECM Skiff in Piekura with D-Scan, Watchlist and Local under my eye, as usual. 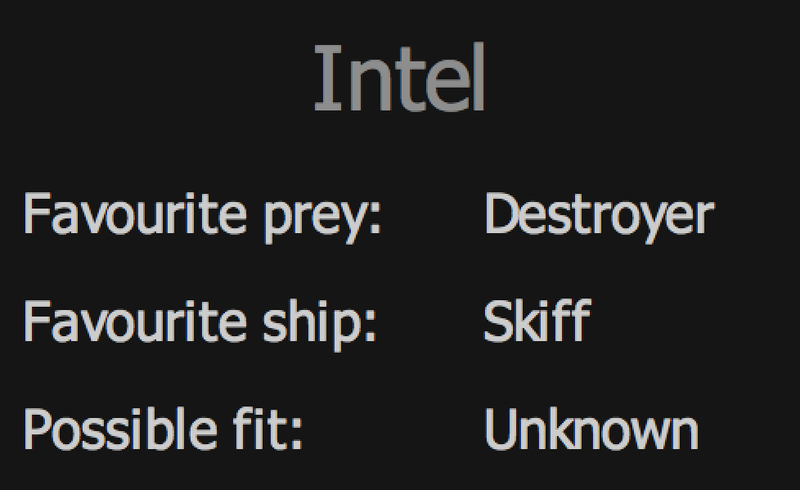 The ECM Skiff has a purpose in Anti-Ganking gameplay. 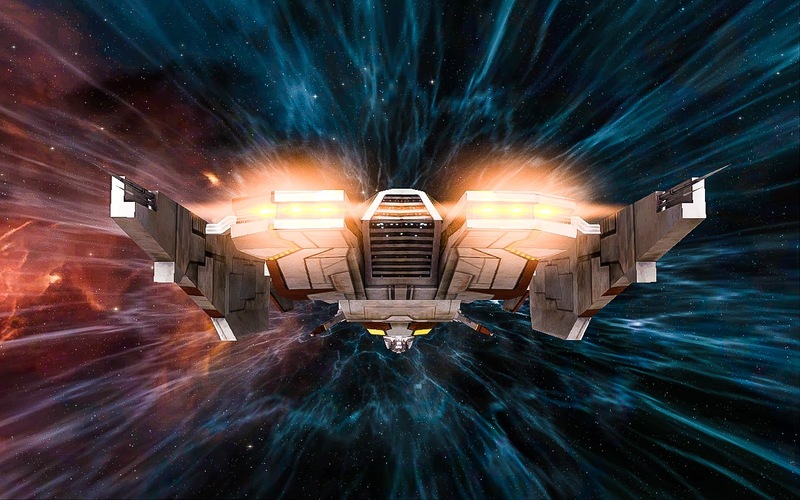 It is about fitting Gallente jammers to the mid slots of a Procurer/Skiff which makes it possible to have a fun time stopping ganks while mining: you can read about it here. [ 2013.09.26 15:19:20 ] (notify) Ice Harvester I deactivates. Your cargo hold does not have sufficient space to contain more ore, so loading algorithms have deactivated the Ice Harvester I before it becomes overloaded. After a while, My Skiff's ore hold was already full and the harvester cycle was therefore doing useless runs. However, I didn't empty the ore hold at station because I didn't want to leave the ice belt defenseless. 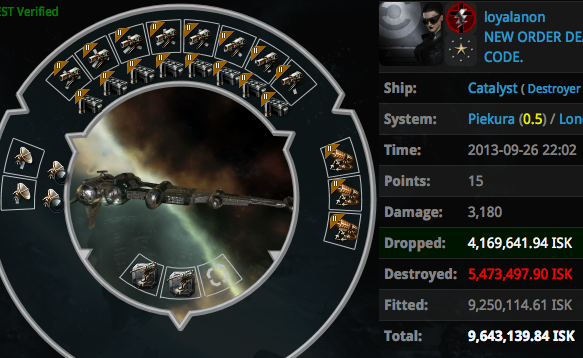 Highsec is not different than other parts of space. Anything is possible any time: A Catalyst could land and gank a Retriever while I was away emptying the ore hold. Also, why would I care about more ISK or more yield? Anti-Ganking isn't about grinding ISK, it's about being patient and having fun as a reward of that patience. As a vigilant miner, I consider the usage of Local and D-Scan as a normal action. In fact, usage of these tools is the vigilant miner's "mini game". Especially D-Scan is an excellent early warning tool. I understood that it was a wise decision to stay at belt when I saw this Catalyst on short range D-Scan. I was like "Why hellllooww there…...". 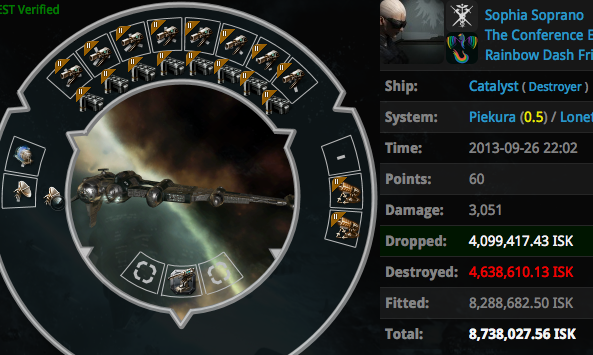 I love it when a ganker Catalyst suddenly appears on D-Scan. The excitement upon seeing one feels just like being at Pizza Pino in Paris, and like half an hour later, the waiter staff finally appears far away, bringing my favorite pizza and drink! I love jamming Catalysts. The ganker appeared on grid. The Catalyst was belonging to outlaw (-10) Inquisitor Reyalstob and he was landing on a concentration of Hulks, Mackinaws and Retrievers. 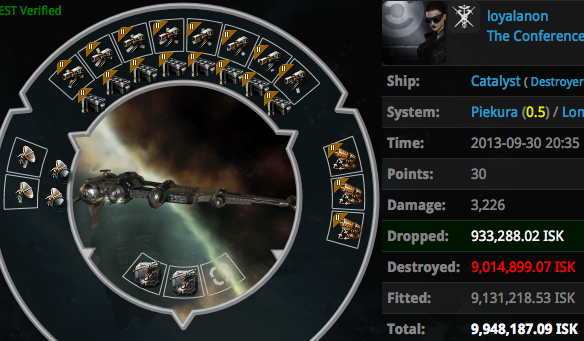 I couldn't notice which mining barge his scout was. However, our ECM Skiff was alert from the moment it started mining ice 45 minutes ago. [ 2013.09.26 15:44:27 ] (notify) Inquisitor Reyalstob, criminals are not welcome here. Leave now or be destroyed. ...but I promptly applied a successful jamming cycle to the Catalyst before it did enough damage to kill the Retriever. The gank was stopped successfully. After his failed gank, Inquisitor reacted like a healthy EVE player. Unlike Revis Owen, he understood emergent gameplay and saw the difference between our ECM Skiff and the AFK miner he had wanted to gank. 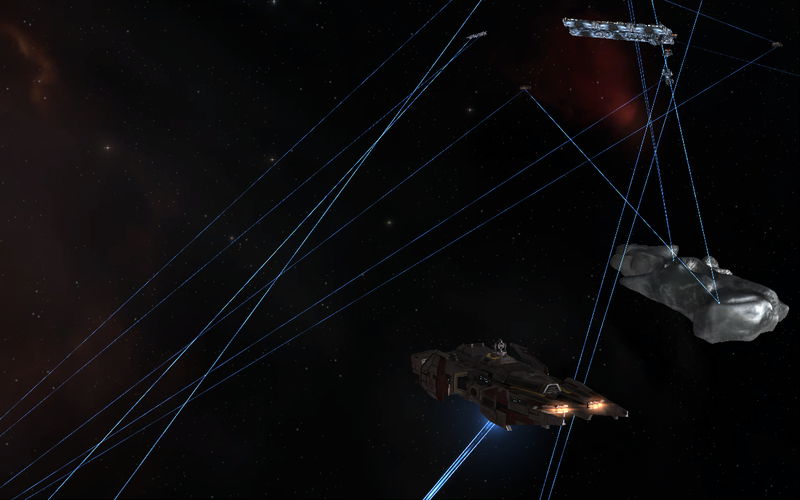 Another alert miner and comrade, Daniel Estrella, had witnessed our Skiff's intervention. Piekura was benefiting from the emergent and victorious energy of Anti-Ganking content, and that was just the beginning. "To you I say, keep it up, you are creating content for yourself, for others, and even for CODE. That's what the New Order is really all about. Content creation is good for all of Eve, not just the people involved." I had to log out shortly after the encounter with Inquisitor Reyalstob. At around 21:15 EVEtime (roughly 5 hours later), I logged back in. As Aura greeted me with her classic (and bot-aspirant) 'Connecting' voice, I was eager to warp to the ice belt again, open D-Scan window and get my Skiff's jammers ready in case some other gankers showed up. "I want players rushing to log in after they get home because they have a plan to take revenge on someone or to steal their assets or to make sure their rivals industrial never makes it to a market hub." "Liek a Boss, not Liek DarZ." As I landed at the ice belt, I remembered that the ship's ore hold was still full. After a good amount of time, as I was thinking whether I should empty it or not, I noticed a known gank scout's name in Local. Several seconds later, that pilot named Wolf Soprano suddenly appeared at the belt with his Anathema. His ship was named "salvager" or something like "miaouuhhh", I don't remember that. He was sitting very close to a Mackinaw. 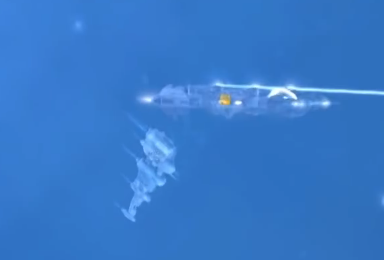 I couldn't be happier: When a ship like the Anathema suddenly decloaks on top of a mining ship in Highsec, it most probably means that a warp-in is about to be provided to one or more gankers: exactly what I want to see! …and that was the case. I wasn't surprised when the two Catalysts appeared on D-Scan. 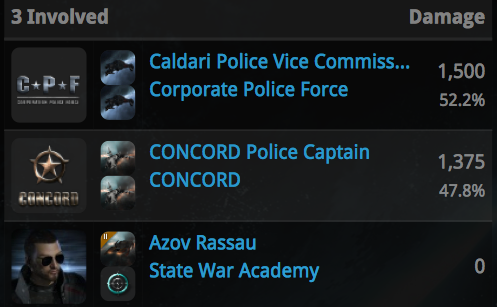 Meanwhile, our Skiff was happy and ready to enforce Ganker Jamming™ again. 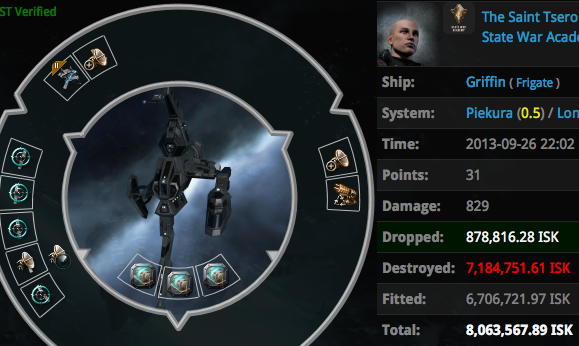 While the gankers were in warp towards us, I noticed the sudden appearance of another experienced ECM Anti-Ganker at the ice belt: The Saint Tsero was decloaking his Griffin! "That dude gets inside my head and counters my counter moves." The Catalysts were belonging to outlaws loyalanon and Sophia Soprano and they were landing at the ice belt. [ 2013.09.26 22:01:31 ] (notify) loyalanon, criminals are not welcome here. Leave now or be destroyed. [ 2013.09.26 22:01:37 ] (notify) Sophia Soprano, criminals are not welcome here. Leave now or be destroyed. As they landed at the ice belt, our Skiff jammed Sophia's Catalyst almost immediately, but it took about 4 seconds before one of my jammers could apply a successful jamming cycle on loyalanon's Catalyst. During those 4 seconds, loyalanon managed to gank The Saint Tsero's Griffin. The Mackinaw, however, was only slightly damaged in Shield. 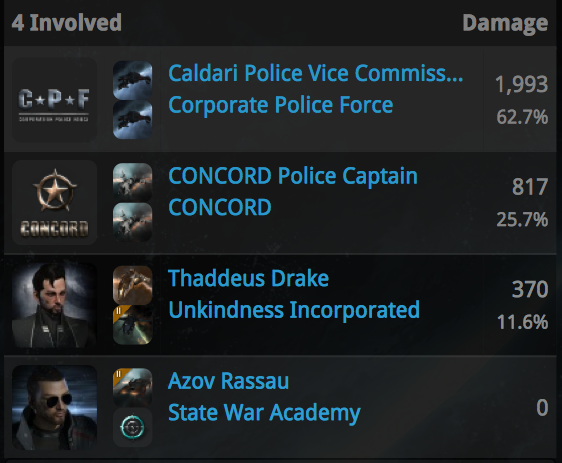 In other words, we had prevented them from ganking that Mackinaw and the scene had suddenly turned into a moment of emergent Highsec fight between Gankers and Anti-Gankers (and CONCORD, which, as usual would have failed to prevent the gank if we real players were not there). Gankers tend to say "interesting" after being jammed. Just like Greg Inglis, Wolf Soprano also obeyed to ganker bingo and responded in the same way. At the same time, the exciting energy of our humble mining ship's success was filling the Piekura local again. Ganker calm down! loyalanon was furious and confused. 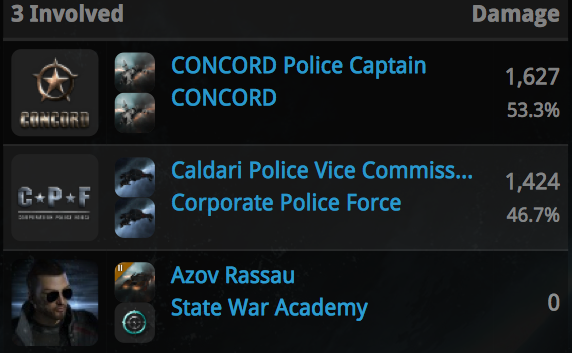 He thought I was in a Procurer. After being electronically educated by my ECM Skiff, he vowed revenge. He was talking about getting more people and ganking my Skiff, which never happened. Well the problem is, I am a miner who checks Local, D-Scan and Watchlist like every 10 seconds (and there are other miners who do the same). In other words, I play the game. It's nearly impossible to gank a miner who plays the game. 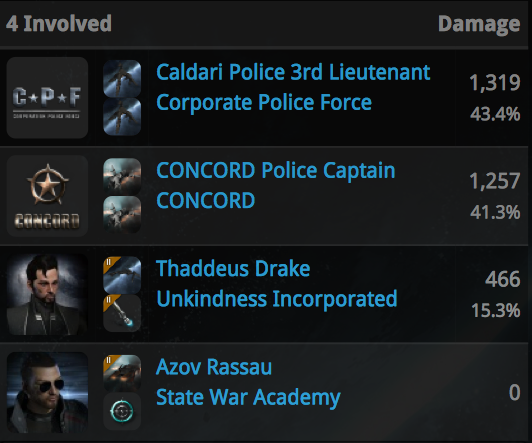 However, if one day a gank fleet manages to kill my Skiff, I will say kudos to them, followed by a respectful 'gf' in Local. ﻿[ 2013.09.26 22:04:01 ] Ragnar D IX > how many ecm can he have? 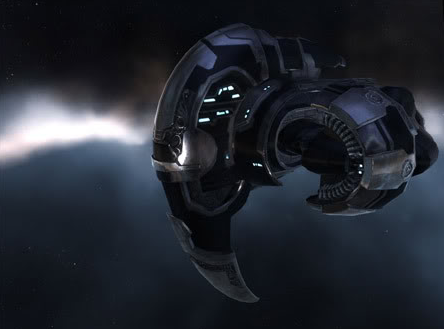 The Anti-Ganking content that was emerged from our exhumer made people curious about the idea of ECM-fit mining ships. A guide written by me can be found here. Four days later, I was once again mining ice in Piekura. Still vigilant, still eager to jam Catalysts, and guess who appeared in Local again! The same gank scout, Wolf Soprano. I was thinking that after our previous encounter (four days ago), he would think twice before organizing a gank within our sight. "Veteran gankers knows this, which is why they will often decide to go elsewhere just from seeing regular ECM anti-gankers in local." While I was thinking of these, his Anathema appeared in our belt for scouting again. Just like 4 days ago, he was sitting right next to a Mackinaw after decloaking. What followed was the quick appearance of the Catalysts on D-Scan and their landing on that Mackinaw. If they had paid attention, they could notice my presence on grid (or maybe they did). Despite the recent ECM experience and despite our Skiff's vigilant presence, they didn't abort the gank and attacked the Mackinaw… will they ever learn? [ 2013.09.30 20:34:56 ] (notify) loyalanon, criminals are not welcome here. Leave now or be destroyed. [ 2013.09.30 20:35:00 ] (notify) Sophia Soprano, criminals are not welcome here. Leave now or be destroyed. 3 seconds later, both Catalysts were already being permajammed by our Skiff. "It was the light of Anti-Ganking. 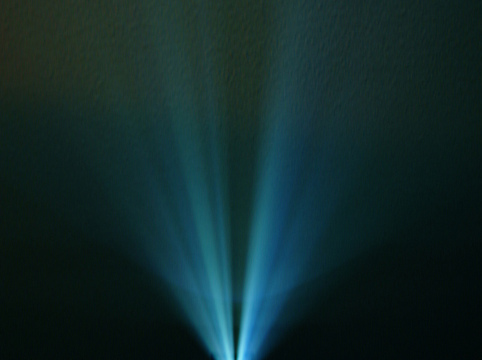 The light of guidance brought to the darkened minds that lacked ECCM, civilization and innovation." Meanwhile, I injected some humor to Local chat by imitating the Sentry Gun notifications. Our exhumer was almost as alert and reactive as those ruthless Sentry Guns, but it was controlled by a player, not computer, and it was using jammers, not guns. Gaius Cassimedes was glad to be away from the gankers, whereas I was feeling happy to be fighting the gankers. That's the difference between a lazy miner and a genuine Anti-Ganker. Another gank was prevented, another pair of bot-aspirant Catalysts were educated. Oh my, he said 'interesting' again! I'm guessing it's their automatic reaction upon being jammed. ﻿[ 2013.09.30 20:35:57 ] Marcus Cassimedes > that didn't go too well eh? I like ganker tears, but I would prefer to see him act like Inquisitor Reyalstob. 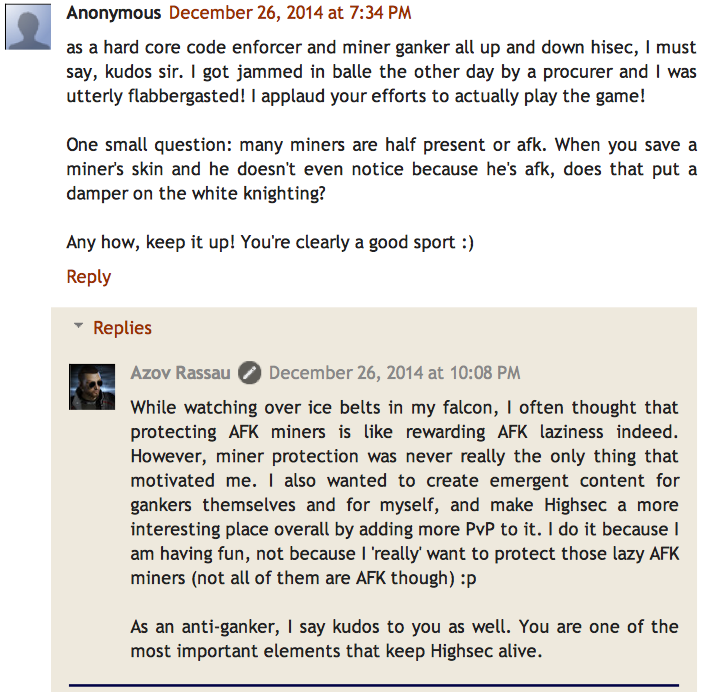 A gallant and civilized ganker puts a 'gf' in Local and congratulates the Anti-Ganker for teaching him a lesson. However, loyalanon reacted similarly to Liek DarZ: to mask his frustration, he felt obliged to say something and tried to change the subject. It's hard to understand what he was babbling about. At the same time, the saved Mackinaw pilot Coran Draig was acting like a typical angry carebear. It's not by calling gankers "dumbass" that you fight them. I recommend being more polite and playing the game. [ 2013.09.30 20:49:37 ] Thomas Mayaki > i remember when the New Order could clear the ice belts. what happened? ﻿[ 2013.09.30 20:50:29 ] Wispear > No they never did that I have minned through many feilds with them working. ﻿[ 2013.09.30 20:51:01 ] loyalanon > what happened? If I had a penny for every time I said "Ganker, calm down", I could buy two 2015 GMC Terrain Denali's. As the heavy amount of ganker rage and tears were fueling our Skiff, many people lost faith in the criminal. However, I am sure an exclusive ganking permit could help him! It could be said that each involved party had fun during these encounters. I encourage all miners to stay at keyboard and try original things like this. If you want to see people of Highsec cause trouble to gankers, then be the change you want to see in Highsec. Now stop training that boring "Plagioclase Processing" skill book and slap yourself with it. Instead, train "Staying at Keyboard" and "Signal Dispersion" to level 5! Nevertheless, after my general observations and reading the following words of a ganker, I am happy to say that it looks like more miners are doing it already! So I am now asking to Kaely and Revis: are you sure it is "taking content away", "failing" and "not having fun" ? In this post's simple examples only, we saw that gankers loyalanon, Inquisitor Reyalstob, as well as me, The Saint Tsero, other miners and even random people in Piekura Local had fun during the emergent encounters. 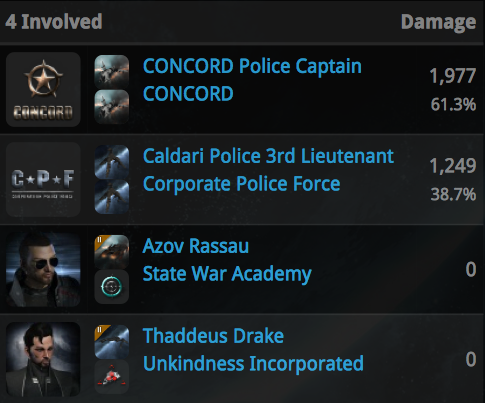 Like Tengu Grib said, content generation is good for all of EVE, not just the people involved. Remember, the main goal of this blog is to promote, present and explain in-game methods and examples of "doing", not "whining" on forums or demanding more nerfs. 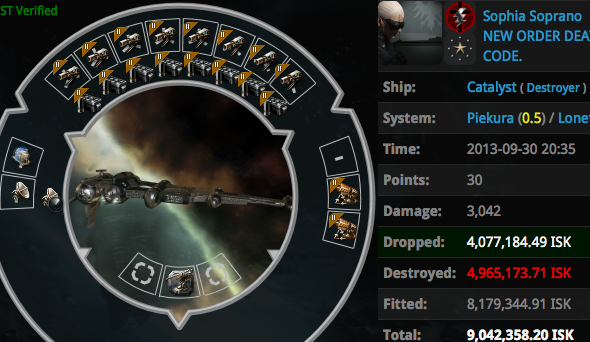 I think it's safe to say that Anti-Ganking, when done right, perfectly fits the game rules and provides excellent content for EVE. Thanks for the fun, Piekura. I will be back.